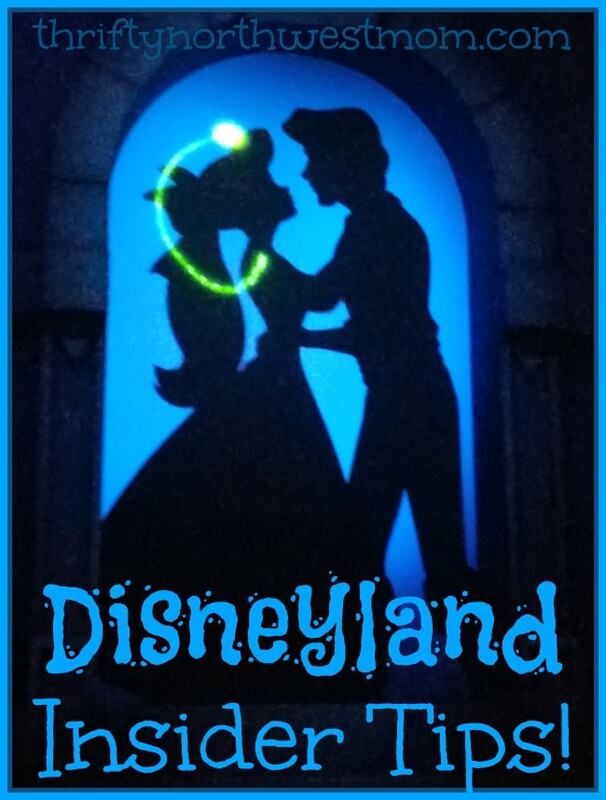 Disneyland Insider Tips – Making The Most Out of Your Disneyland Trip! The Disneyland Resort is filled with thrilling attractions, delicious food and memories to last a lifetime. So, what could make The Happiest Place on Earth even happier? Having expert knowledge to make your next vacation the best one yet. Luckily, we’ve partnered with our friends at Get Away Today to give you Disneyland insider tips for your next trip. If you’re traveling to Disneyland soon, make sure you check out the amazing vacation offers through Get Away Today. They offer discount Disneyland tickets, and incredible hotel deals too! Here are some Disneyland Insider Tips to Make Your Trip the Best It Can Be! 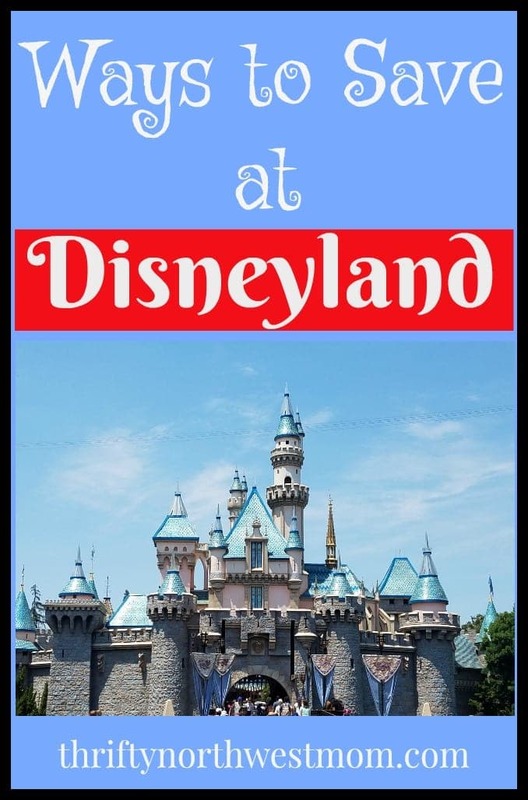 Start by Ordering a FREE Disneyland Vacation Planning DVD here. 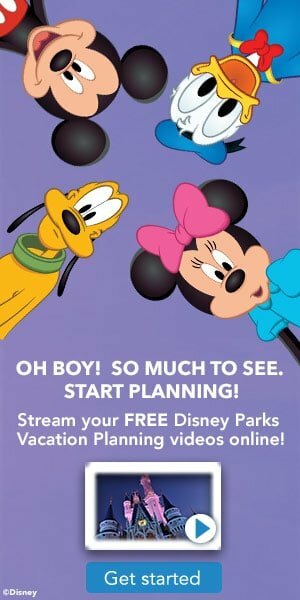 It always gets everyone excited for vacation, when you request one of these FREE Disneyland Planning Videos. They are not only helpful for the planning process, but they are fun to watch and certainly help everyone start to get ready to enjoy Disney! No matter what time of year you travel, it’s no secret that Disneyland is becoming more popular. However, don’t let that discourage you! There are so many ways to beat the crowds, making it seem like no one else is there. The first feature you should be taking advantage of is FastPass. FastPass is a completely free service for guests that essentially holds your place in line, while you continue to enjoy other attractions, entertainment and dining. At select attractions, you can obtain a FastPass ticket with a return time by entering your admission ticket at a FastPass distribution center. Once that timeframe hits, you can come back to the attraction without a long wait. Rides like Radiator Springs Racers, Guardians of the Galaxy Mission: BREAKOUT!, Indiana Jones Adventure and Space Mountain are just some of the popular attractions that you can utilize the FastPass service for. Another feature that Disney offers is MaxPass. MaxPass debuted early last year, however, I still consider it a secret for most. MaxPass is $10 per person, per day, and is well worth the cost. With MaxPass you can reserve all of your FastPasses directly from your smartphone device. This means you won’t have to physically go to each attraction to get your FastPasses, so you won’t feel as rushed. Plus, MaxPass includes PhotoPass. With PhotoPass, you can take professional photos with Disney cast members and download them to keep forever. While you don’t have to use MaxPass every day of your stay, it’s a great way to save time on busier days or if you just want to splurge. We have more details on the MaxPass program here, but with the inclusion of PhotoPass, it is well worth the extra cost per day in our opinion! If you’re looking for another way to beat the crowds, make sure you take advantage of mornings at Disneyland. With any 3-Day or longer ticket, you can get one Magic Morning. On Tuesdays, Thursdays and Saturdays, you can get into Disneyland one-hour before the park opens to the public. If you stay in one of the Disneyland hotels, you will have magic morning hours too. This means that you can go ride all of your favorite attractions, before anyone is there! Even if you don’t take advantage of the Magic Morning or don’t have a 3-Day or longer ticket, try to get to the park as early as possible, and head straight to your favorite ride. The lines are often shorter first thing in the mornings. Since a lot of locals will come after work, the park is much busier during the afternoon and evening. If you get there as soon as the park opens, you’ll be able to move around the park with ease and with minimal wait times. If you do not have magic hours, and plan to be there when the park opens, consider going to the Park that does not have Magic Hours that morning, and you will be one of the first in the park – but not have to deal with the crowds from the folks who took advantage of the Magic Hours. Although locals will often come later, once you hit later night, the crowds can sometimes thin out too. Folks with small children will sometimes head back to the hotel to let them get a good nights sleep, and it can be another opportunity to find shorter ride lines. Other tips on when when you might be able to find shorter ride lines include: heading to the rides during a parade and during weather extremes (if it rains while you are there, its a great time to find shorter lines – or if there is a heat wave, the crowds will be much lighter)! Wanting to get on a popular ride like The Cars Ride at Radiator Springs, but don’t have a FastPass for it? Use the Single Rider line! Chances are it will be MUCH shorter, and you will get on the ride in a fraction of the time. You can go in the line as a family, but you will not likely all ride in the same car (and definitely will not sit next to each other). Our kids are old enough to do this, so what we will sometimes do is get in this line with mom in the front, kids in the middle and dad in the back. That way when I get off I wait for the kids, and dad brings up the rear. This ride for example, has three seats across the front of the car, and three across the back. So when there are parties of two or four, there is an extra seat in the front seat and back seat, and they fill those with people in the Single Rider line. It is a great way to save time in lines if you are ok with not sitting next to your family members. We have always run into characters roaming the grounds when we have stayed at one of the Disneyland Hotels. If you want to take a lunch or dinner break, consider eating at one of the hotel restaurants and look for character sightings there. This could help you avoid long character lines in the parks. After the cost of admission, you’ll have to pay for food while you’re in the park. While Disneyland has some of the best treats and eats, it can start to add up. To make sure you indulge on all of their delicious food without breaking the bank, you should try sharing meals. While the food can be pricey, you can easily share meals between two people. Below, I’ve listed some restaurants that will give you the most bang for your buck while at the park here too. Another way to save money on food is to bring in your own snacks, drinks and sack lunches. While they won’t allow you to haul in a cooler full of goodies, you can still bring foods that will keep you going throughout the day. This way, you can treat yourself to a churro (or two) without feeling guilty. Disneyland Dining – how to save the most on food for a Disneyland trip! If you don’t talk to the cast members at every attraction, you’re definitely missing out. While some might be new to the job, I’ve found that most cast members have a crazy amount of Disneyland knowledge. Have you ever wanted to know how to get the high score on Toy Story Mania or what celebrities they’ve seen at the park? When you talk to Cast Members, they’ll be able to give you tips, tricks and stories that you can’t find anywhere else. Plus, I’ve found that if you are especially nice to them, they might even let you go to the front of the line. The Disneyland mobile app, will help you plan and enjoy a much smoother trip. You can use it to view wait times for rides, so you can plan where you want to go and when (**tip – watch the wait times a week ahead of your trip, on the days of the week you plan to travel, to get an idea of the possible times of the day when the lines are shortest for each ride.). Plus, you can Check Disney FASTPASS Return Times and Make Selections Digitally if you have MaxPass!! This is a great perk, and so much easier then running from attraction to attraction to secure the FASTPASS. Other things you can do with the Disneyland Mobile app, include making dining reservations, managing your PhotoPass photos, locate characters and more. Last, but certainly not least, consider putting your Disneyland vacation on a Layaway Plan with flexible and affordable payments, when you book through Getaway Today. For just $125 down, you can book your Southern California vacation as soon as you dream of it. Plus, keep reading to get an exclusive promo code to use on your next Disneyland trip exclusively for Thrifty NW Mom readers. with Get Away Today on your next Disneyland vacation. You’ll be able to take advantage of discount Disneyland tickets, hotel specials and more on your next trip to The Happiest Place on Earth, and have more time to pay for those costs with the layaway plans! Now that you’re a true Disneyland expert, what are you waiting for? To book your next Disneyland vacation, visit getawaytoday.com or call 855-GET-AWAY to speak to a travel expert directly. Make sure you mention promo code THRIFTYNW to get an additional $10 off your hotel and tickets package. Let them know that Thrifty NW Mom sent you! Be sure to check out our Disneyland Deals savings page for lots more ideas on how to save and plan your trip, for the best Disneyland trip ever! Deals to visit the new Pixar Fest going on right now! Walt Disney World Deals and Discounts, plus planning tips page here!